Der Stürmer was a German weekly newspaper from 1923 to 45. 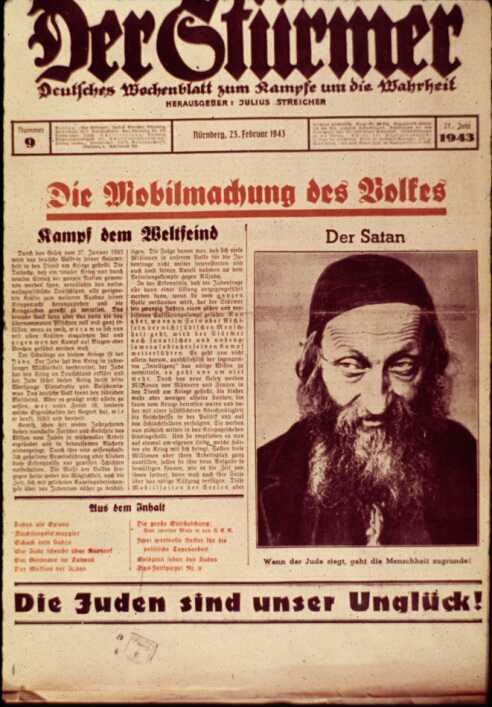 It published some of the most vicious anti-Semitic propaganda in the history of the world. Its publisher Julius Streicher was executed for his crimes. Die Juden sind unser Unglück!, The Jews are Our Misfortune. A simple statement repeated often enough becomes accepted. Die Franchisenehmer sind unser Unglück!, The Franchisees are our misfortune.